Over the last month, we have looked closely at many of the benefits that installing a professional uniform rental services provides to you and your employees. Aside from the financial factors, there are additional reasons of safety and security that make the practice invaluable. Once you’ve made the wise decision to incorporate a uniform into your employees’ ongoing daily protocol, the next phase can be equally important – designing the uniform itself. Most customers and clients will associate the colors of your team members’ uniforms with the branding of the company itself. To encourage such easy brand recognition, it is a clever idea to incorporate the same color scheme into the new uniforms that you use for your company’s logo and overall business motif. Although the colors and designs can be flashy, selecting basic, yet bold primary colors – such as blue, red, or yellow – are memorable without being too aggressive on the eye. If your company happens to be a restaurant, or other related organization within the foodservice industry, you may be tempted to design an employee uniform that is “trendy” or overly stylish. There are major pros and cons to this practice. While a restaurant may benefit by opting for current fashion concepts in both food and uniform, what is “hip” today may not be viewed as such tomorrow. To avoid this possible future concern, an ideal employee uniform for any business should be designed and constructed with “form-over-function” safely in mind. This means comfortable, durable, and classic in its simplicity. There is also the added bonus that basic designs and constructions make for easier laundering, repair, and replacement. 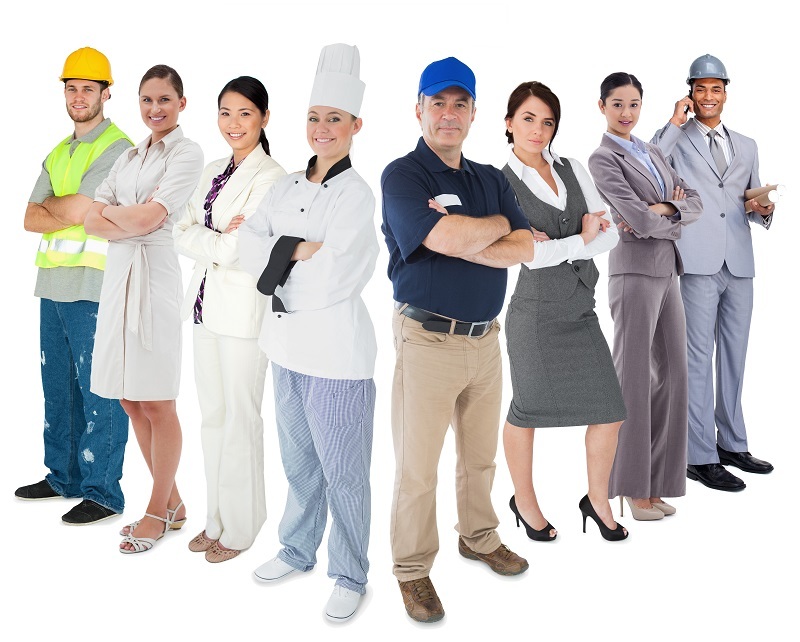 Regardless of the nature of your company, your employees will be using their uniforms the vast majority of the time. This means that both durability and comfort are of equal importance. If there is a certain amount of physical labor required to the job, then the uniforms should also be constructed of materials that “breathe” and can be easily laundered. For this, cotton is often regarded as an industry standard. However, if a cost-effective presentation of “dressier” clothes is required, polyester can give the appearance of a more expensive fabric, while making the laundering process that much easier – particularly if you are using a uniform rental service. Depending upon the nature of your company’s services, designing the right uniform can have great branding benefits. This entry was posted on Monday, July 3rd, 2017	at 8:44 am	. You can follow any responses to this entry through the RSS 2.0	feed. Both comments and pings are currently closed.